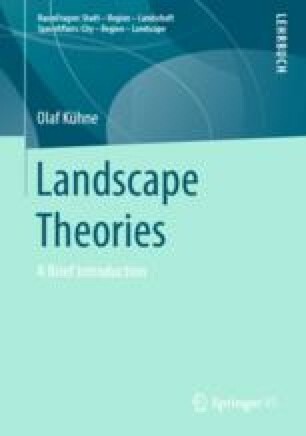 The theoretical approaches to landscape focus – with different emphases – on the dimensions of the material, the individual and the social. Positivistic approaches refer strongly to the material, constructivist to the social, phenomenological approaches focus on the individual experience of the material, while other 'more-thanrepresentational' approaches seek to analytically overcome the distinction between subject and object. In contrast, essentialist landscape research endeavors to grasp the 'essence' of the landscape hidden behind the material objects.